Like the title says, this is an anti-diet book. In this book the author gives you information on how to eat better so that you are healthier and feel better. 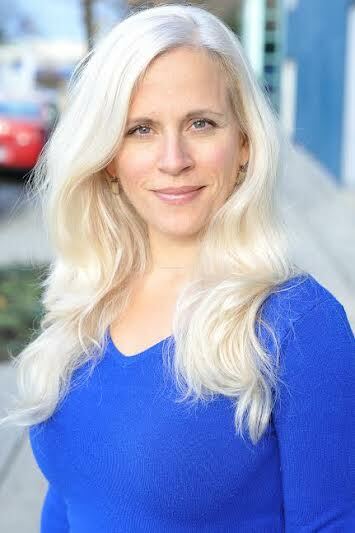 She says “When you give the body what it needs to heal itself, it does so remarkably well”. And that means eating food from the earth. I’ve read a lot of books on what we should be eating and how much, but this book is different. Sherry has had her own struggles with her weight and health, and wants to help others reach a healthy way of life. You can tell she did a lot of research. She writes it in a way that made it click like no other book on this subject has. She says that many so called health foods are toxic to our bodies because of the way they are made. I believe that. She also says our thoughts can be toxic or have the power to energize and protect the body. I believe that also. The 8 chapters are The Cost Of Fast And Easy, The Lethal Recipe, Nature’s Principle, The Consumption Concept, HyperNourishment, The Universal Recipe For Healing, Love-Sweet Love and Food-Sweet Food, and The Holistic Path. My two favorite chapters where The Universal Recipe For Healing which has sections on how to listen to your body, get quite and plug into nature as well as air, water, sleep, vegetation, movement and sunshine. I also loved the chapter The Holistic Path. It includes how to do a kitchen audit, shopping, how to set up your kitchen. There is a bit of humor in the book too, she says “Chocolate is God’s way of saying he loves us and wants us to be happy”. In the back of the book there are a few recipes. Some have ingredients that I’ve never seen in a regular supermarket like maca powder and dulse. I guess you could find them at a health food store. There is also a section on what you need in your pantry, freezer and fridge as well as the kitchen equipment you need to practice what’s in the book. There are also illustrations by the author throughout the book and they are beautiful. I loved that she included them in the book. I thought this book was fantastic and think it could help anyone make a lifestyle change to become healthier, not only in body, but also in mind and spirit. 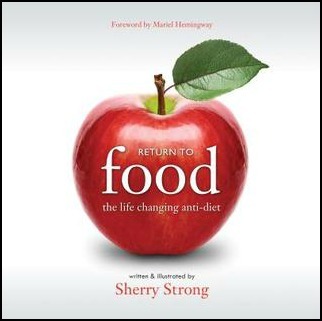 Sherry Strong is a food philosopher, chef and nutritionist who has travelled around the globe to do diet and lifestyle makeovers, and has worked with celebrities, elite athletes, Fortune 500 CEOs, billionaires, and Jamie Oliver and his Fifteen Foundation. Sherry’s philosophies and simple strategies help people feel better and live their best life by developing a healthy relationship with food and their body. Sherry was the Victorian Chair of Nutrition Australia, the Melbourne Head of Slow Food, Curator and Co-Founder of the World Wellness Project Summit and founder of the Return to Food Academy where she teaches people to become Return to Food Coaches and Entrepreneurs. This sounds like a great philosophy of eating! I really think it is. I’m going to go through the book again soon. It’s one of those books that deserves to be read over and over. This book does sound wonderful, Vicki! I will “check out” the Webinar!! Great Susan. I hope you like it. Thank you Vicki, I will cherish your review as you’ve really read it and got what I was trying to send out to the world. I’m deeply grateful. Thank you for my review copy! I really enjoyed it. It is Yvonne. The best I’ve read so far in this genre. This is the basis of the autism diets I’ve mentioned on my blog. The body can heal itself if given food for health, real food. Looks like a great book and very much what I’m into right now so I’ll have to check it out. This is the sort of thing I ended up with when I changed how I ate. It makes a huge difference in helping me manage cravings. Putting this one on the list! I wonder if the unusual ingredients are because the author is Australian?